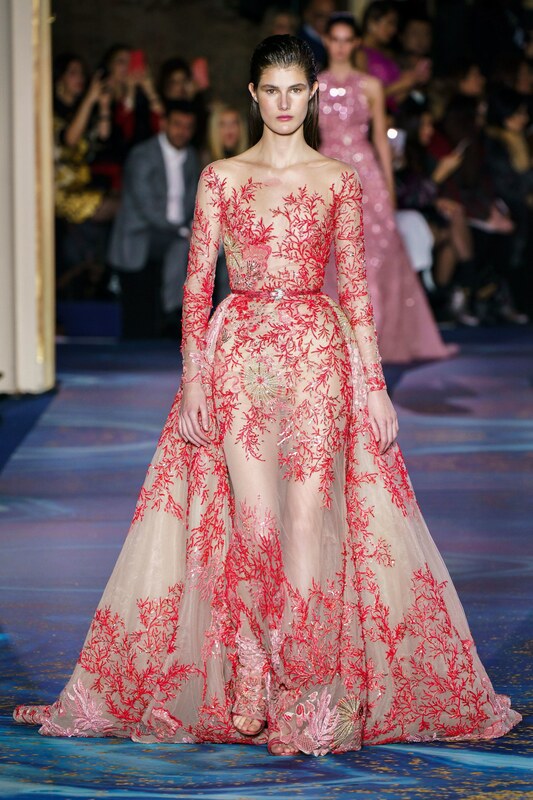 For Paris haute couture week, Lebanese designer Zuhair Murad showcased an ocean-inspired collection at the Hotel Potocki on Wednesday, January 23rd. The collection which was tagged ‘Aquatic Serenade’ offered red carpet-worthy dresses and gowns every bride would want to get her hands on. 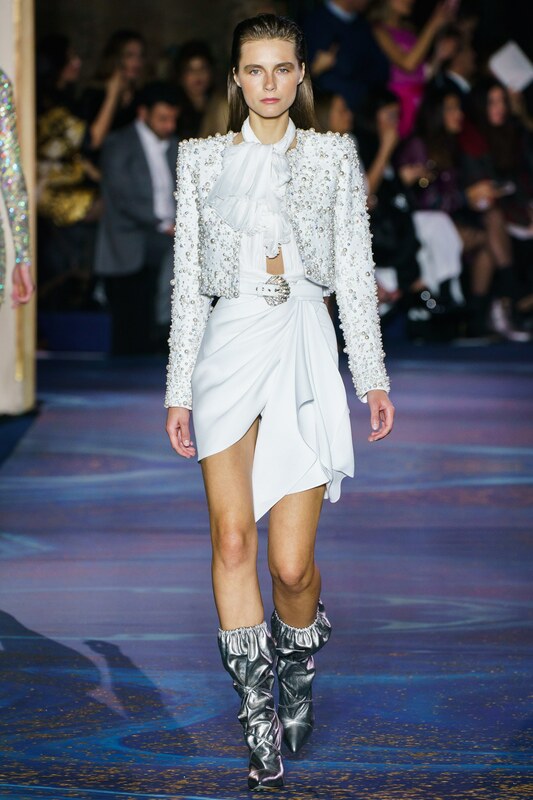 The Zuhair Murad Spring 2019 couture collection was an ode to the underwater life, with an ’80s twist, in contrast to his Pre-Fall 2019 collection which paid homage to Japanese Landscapes. The collection which featured all conceivable shades of blue: turquoise, navy, aqua and periwinkle, opened up with a black number that slowly transitioned into a shimmering dark purple. 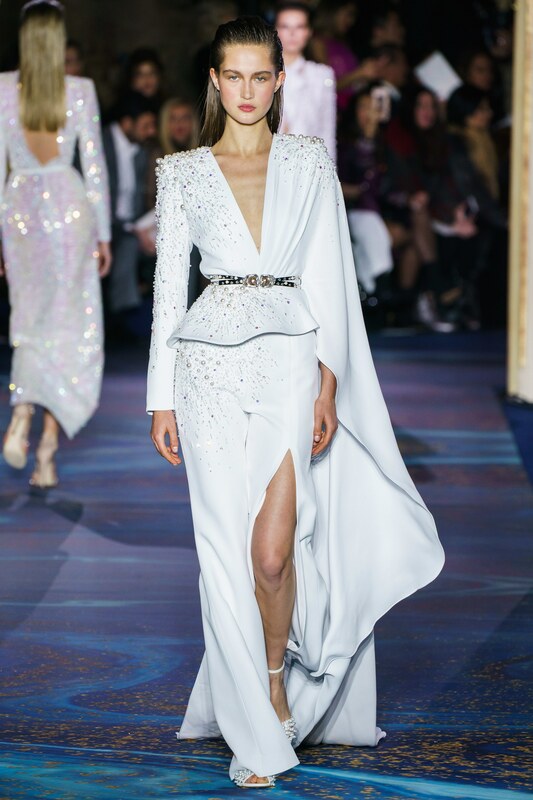 The pieces transitioned from darker blue to lighter hues, leading up to the show-stopping wedding dress. Clothing also came in other tones inspired by the ocean including shell pink, coral, mother-of-pearl and twinkling silver. 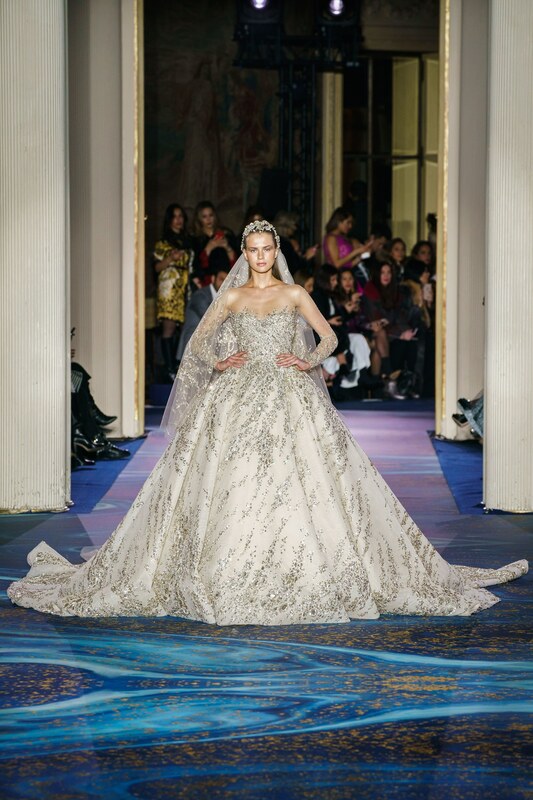 To close out the show, Zuhair Murad’s bride stepped out wearing a glittering, crystal-encrusted tulle wedding dress equipped with an equally sparkling headpiece that culminated into a cascading veil.